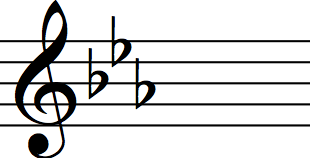 Remembering key signatures is something that most musicians find difficult to begin with. This page helps you remember the keys which contain flats. 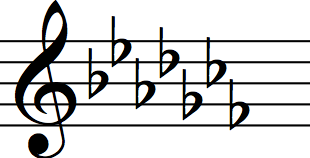 Click here if you are looking for help on the key signatures that contain sharps. As I say on the sharps keys page, knowing the keys isn't only about passing theory exams. In fact, no theory is really about passing exams! 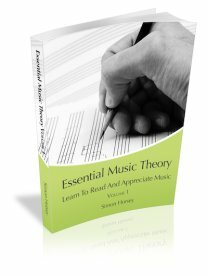 Learning music theory is about helping inform and improve your playing. Having a good knowledge of music keys helps your sight reading, makes it easier to memorize scales, helps you become better at improvisation and really helps you if you want to become a composer... so pretty important really! Below you will find a video that shows you a simple method of remembering all of the major key signatures containing flats. 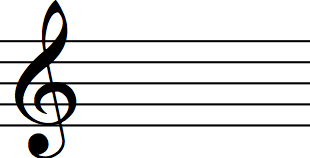 First here are all the key signatures of the keys that have flat. I have included the key of C Major (no sharps or flats) at the start, just for the sake of completeness, although clearly there is nothing there! As I said on the sharp keys page, this is something that only occurred to me recently. 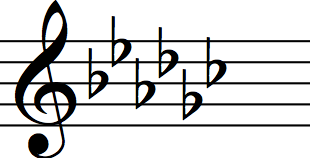 You only need to remember two things, and if you already know the order of the sharps you can already remember one of them, because the order of the flats is just the order of the sharps backwards! And if you are on this page first, when you get to the sharps page they will just be the flats backwards! but to be honest I am not a fan of this because it is too easy to get the last two words muddles and remember Battle Ends And Down Goes Father Charles. 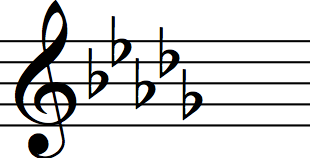 You could also remember to start on B and go up 4 notes each time. 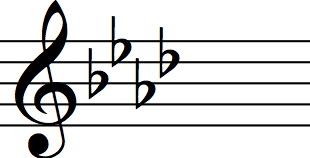 One of my favourite methods of remembering came from a students who said she remembered that the sharps went up 5 notes between each because if you sat on something sharp you would go up quickly. The flats go down 5 notes between each because when you flatten something it goes down... she then proceeded to demonstrate this to me by stamping on a plastic cup! 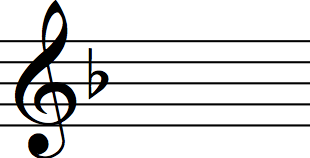 The second thing you need to remember is the same thing as for the sharps and that is that C major has no sharps and no flats. Once you know these two things there is a simple method to help work out all the signatures for any major key. Just watch the short video below to learn how to do it. 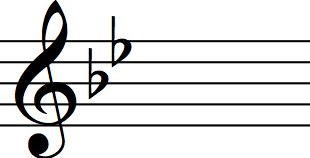 One of the easy ways to find out a key with flats is to see what the penultimate flat is. This will give you the major key! E.g. if there are 5 Flats in a key signature (B, E, A, D, G) just take the penultimate flat (D flat) and you have the key which is D flat major! Once you are confident you know all the keys with flats click here to take an online quiz.